BOZEMAN—Montana Fish, Wildlife and Parks (FWP) has enacted an emergency closure of the Yellowstone River to all floating between Mayor’s Landing Fishing Access Site (FAS) and Highway 89 Bridge FAS until further notice. This closure is in response to safety concerns related to the Park Avenue Bridge (Highway 89) construction project. The river is also closed to all public use 100 feet above and below the Park Avenue Bridge. The construction at this bridge site has influenced the current of the river, making it stronger in certain areas and possibly dangerous to people and property. There have been two incidents in which boats have become trapped against the temporary work bridge ejecting passengers and causing damage to the boats. FWP warns those that may attempt to use this portion of the river that they are risking their safety and would be subject to a citation and fine. 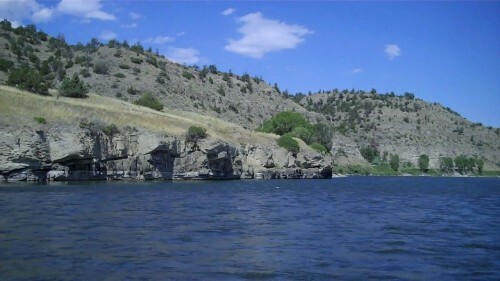 FWP urges floaters to use other stretches of the river above and below this closure. This portion of the Yellowstone River will reopen when the FWP Commission determines it is safe to float. This will depend on the duration of construction and river conditions at the site. Mayor’s Landing FAS is located just on the southeast side of the city of Livingston. Highway 89 Bridge FAS is five miles east of Livingston along I-90.